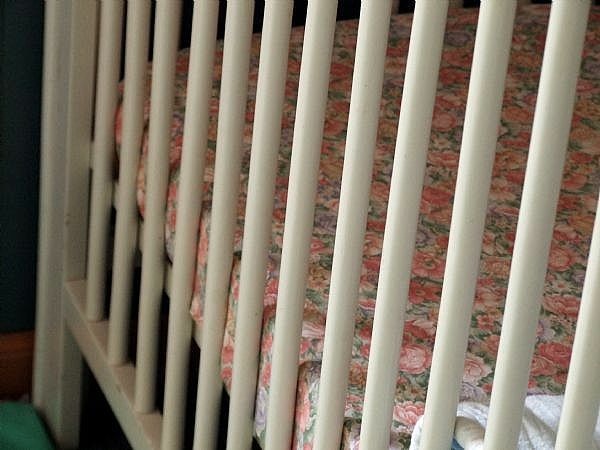 peaceful parenting: Time to Abolish Cribs? Two hundred years ago, Arthur Schopenhauer wrote that, "All truth goes through three stages. First it is ridiculed. Then it is violently opposed. Finally, it is accepted as self-evident." This observation has certainly passed the test of time. Copernicus's writings, in which he claimed that the earth moves around the sun, were banned for decades, and led to an Inquisition trial and house imprisonment for Galileo. Today, of course, the earth's orbital movement is accepted as "self-evident". Why have we not followed Schopenhauer's predicted path? Why do we not abandon cribs, where so many babies have died, and many more have been injured? 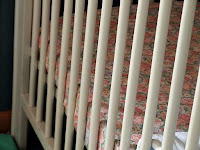 Why have the numerous deaths and injuries in cribs not led to a call for its abandonment, or at least a switch to "bedside co-sleepers" (partial cribs that fit next to the parents' bed)? When babies are injured in cribs, parents are never told to avoid cribs; they are told how to purchase and use safer cribs. But when a baby dies in a family bed, there is an entirely different response. Instead of being educated on safety factors, we are told never to place our babies in adult beds – period. Rather than calling for the end to such an age-old, beneficial, and healthy arrangement, the causes of each situation should be investigated, and parents should be educated accordingly. We should be warned against the real dangers of bed sharing: intoxication, overly-medication, the use of a waterbed, loose blankets or soft bedding, gaps between the mattress and the frame, and leaving a baby unattended. If a baby dies in a car, we are never told to keep babies out of cars, we are advised about safety measures. The same approach should be taken with co-sleeping. Resources on healthy infant sleep. Resources on sleep training/CIO/controlled crying. My own daughter had reflux as an infant and newborn. It took us some months to figure out what was causing it (My caffeine intake) and she would often vomit an hour or so after nursing. Most nights I would have to deal with a mess and took to sleep with towels handy. If I had put her in another room I am certain she would have aspirated on her own vomit. There were several nights I still remember vividly where I woke instantly to her gagging and flipped her over, patting her back. While I cannot force anyone to make the decision I did, I can share my story and the wonderful blogs you post. Thank you Danelle. Before I knew better and my older children were put in cages, I would still instinctively bring them in to me when they were sick for fear of what Veronica has described. I wish I had have followed my instincts more with them and just let them stay with me. Would have saved quite a lot of money on crib costs and a lot of guilt now. I now enjoy a very happy co-sleeping arrangement with my daughter and although I do have a portable cot 'just in case' I have only used it once at night when I was in a single bed and she couldn't fit. I slept very poorly that night. I hear parents say they stand outside their child's door to check on them several times a night. Why not just rest easy and have them next to you? Here is a question. Don't the babies have a traumatic adjustment period when, at age one or whenever, we finally train them to sleep in their own rooms and their own beds? How do you make that switch? Also, how do you train a baby to take a nap alone, if he/she is used to always having your warm body right there? I am interested in a reply to the second Anonymous' question too. Our 6 month old daughter has slept in our room since coming home from her birth. We chose to have her in her bassinette & now cot instead of with us in our bed full-time. There have been a couple of nights she has slept with us, and I don't sleep as well because I'm half-awake to make sure she doesn't get rolled on or covered by the quilt. For our 5:30am feed, I put her in the bed with us and she sleeps with us (or me on a weekday) for a few hours. It's always nice and I love this time. She also would only sleep during the day if I laid on the bed with her, and I enjoyed having the closeness and for us to wake together (or her waking to see that I am lying there looking right at her). This is something I'm not able to do all the time and I'm worried about getting her dependant on this, so I have changed this practise. I worried that when it came time for me to return more to office work, she wouldn't be able to settle without me. I also would like to know the best approach in having a toddler decide when to have their bed in their own room. Having said all of this, I wasn't comfortable with the idea of having her sleep in another room altogether! No way, not for our family. I like that I can hear her breathe and stir during the night and I like that she can hear that we're there too! I co-slept off and on growing up & I think it's like any other thing. Kids eventually grow out of it. Like breast-feeding. I stopped when I was 7 or 8 & even then it had been only a few nights out of the month. Kids constantly want to become more independent (barring some emotional trauma) and will move away from you on their own. We don't refrain from holding them b/c we think we'll have to carry them everywhere in college - why use that excuse for any other child behavior? The only time intervention is needed is when the behavior is obviously linked to some sort of emotional problem. I tried co sleeping but didn't get any sleep ( the way you are always aware of them never feels like real sleep to me) I tried sleeping with her I a cot right next to me and was awke all night as I'm such a light sleeper that breathing keeps me awake. It wasn't until I stopped feeling guilty and put her in her own room right next door (paper thing walls and both doors open) that I finally got an ounce of sleep. I am so glad I did! She's close enough for me to hear but not so loud I'm awake all night. I'm hoping when she's older she can sleep with me again but for now daytime naps on me will have to do. Corpseesproc ~ I'm the same way. What we did was to put 2 mattresses together on the floor (a big nice 'family bed') so that I could nurse my little one to sleep on one, roll over and have lots of room to sleep on the other. I am also ultra sensitive to light, noises, etc. So I got blackout curtains (which help us both sleep better) and we have a fan on at the end of our bed which downs out the other little noises - breathing, turning, small sounds in the night, etc. This 'white noise' of the fan - loud enough to cover the other noises but not ever blowing on or over us - works wonderfully. We both sleep soundly. :) Just an idea for future if you want to try it again someday.